2draw.net - boards - Beginner - Long cool tiger in a red scarf. boardsbeginnerLong cool tiger in a red scarf. 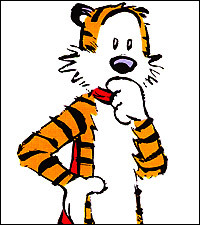 hobbes_200_225.jpg (JPEG Image, 200x225 pixels) Reference. So people aren't like OMG YOU TOTALLY FORGOT HIS OTHER EAR MAN!!!!!!! Cool. Calvin and Hobbes are two of my favorite cartoon characters. For some odd reason they're called Casper and Hobbes over here. Funny drawing. 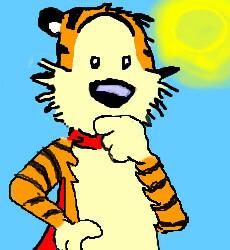 a thoughtful Hobbes, nice job! Thanks. Good idea Ty854, I shall.